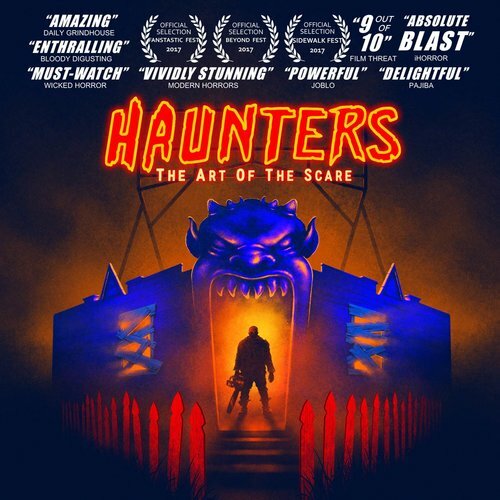 I know we are all missing Halloween, so I was delighted to find Haunters - The Art of the Scare, which is a documentary about Halloween haunts and haunt owners, streaming on Netflix! 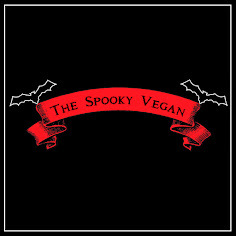 It comes at a time when I really needed a Halloween pick-me-up, and this documentary provided exactly that. Synopsis: Haunters is a heart-warming and heart-stopping documentary about people who sacrifice everything to create the most popular and polarizing haunted houses for Halloween - from boo-scare mazes to a controversial new subculture of extreme terror experiences. Haunters starts by showing us clips of haunts all over the country, from Haunted Overload in New England (swoon) to Knott's Scary Farm here in Southern California. It goes on to feature interviews with haunt owners, prop-builders, scare actors, and guests of haunts, including both large, professional haunts like Universal Studios' Halloween Horror Nights as well as smaller haunts like The 17th Door, Delusion, and infamous extreme scare experiences like McKamey Manor and Blackout. As you can tell, most of the haunts the documentary shows are located in Southern California (we are certainly lucky here!). After the overview of haunts, the documentary then goes on to focus on smaller haunts and their owners (namely Russ McKamey of the controversial McKamey Manor), and the ups and downs they face every year as they build their haunts, face issues with permits as well as in their relationships with spouses and neighbors, and how they have to up the ante every year in order to keep people coming back. 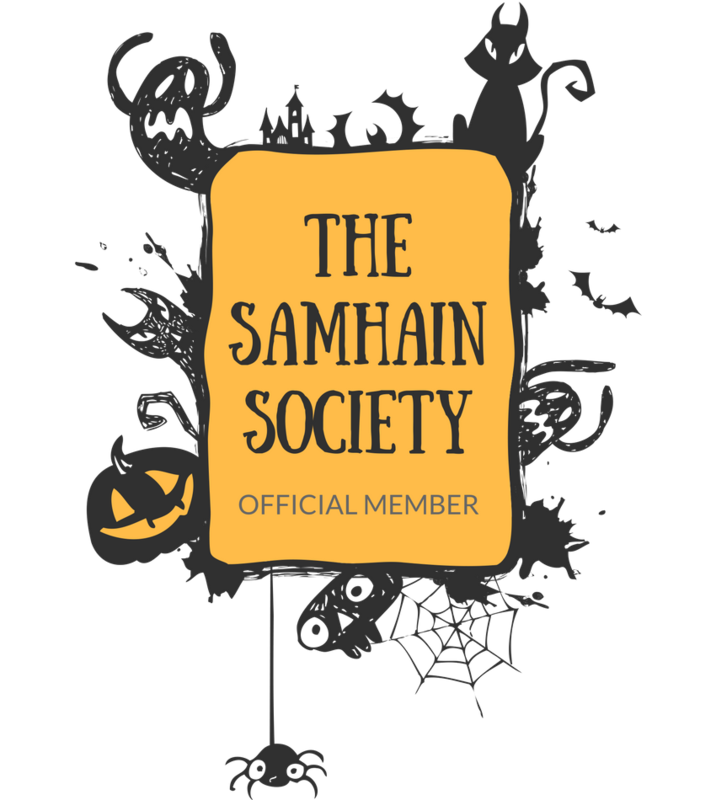 The love of Halloween and giving people a good scare (or traumatizing experience) is readily apparent in getting to know the haunt owners, prop-builders, and scare actors who were interviewed for the documentary. I adored hearing about the experiences from legendary scare actor Shar Mayer, including her experiences at numerous haunts throughout the years (starting in the '70s!) and just how beat up she would get while scaring guests (including getting punched and even choked!). It was also neat to see familiar faces like directors Sylvia and Jen Soska (American Mary, Hellavator TV show), John Murdy (creative director of Universal Studios' Halloween Horror Nights Hollywood), Larry Bones (special FX artist and owner of Bone Yard Effects), Jon Braver (creator of interactive haunt Delusion), and many more discuss their beginnings in the haunt community and how the culture has changed over the years. Of course, the best part of the documentary is getting to experience Halloween all over again and seeing the vast variety of different haunts and scare experiences we have today. It was dreamy to see Haunted Overload's breathtaking Halloween set-up in the New England woods as well as seeing familiar mazes from Southern California haunt attractions. While I love traditional haunts like Halloween Horror Nights and even immersive experiences like Delusion, the extreme haunts aren't something I would do, but it was still intriguing to see them in action and the torture they inflicted on their participants! Haunters - The Art of the Scare is a must-see for haunt fans and Halloween lovers! 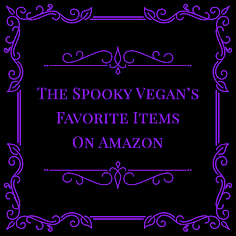 It gives you a dose of Halloween imagery and introduces you to those behind the scares who live to terrify others in their Halloween haunts. I really hope writer/director Jon Schnitzer makes a follow up or part two to this documentary so we can explore other Halloween haunts and their creators. You can watch the documentary streaming on Netflix or purchase it on Amazon (the special features on the Blu-ray and DVD look especially awesome)! Wow - cool. I am gonna pop some corn, grab a beer, light a fire and enjoy this some evening. That sounds like a perfect night! Cheers! OMG! I had no idea this documentary on Netflix -- and I subscribe to Netflix. D'oh! 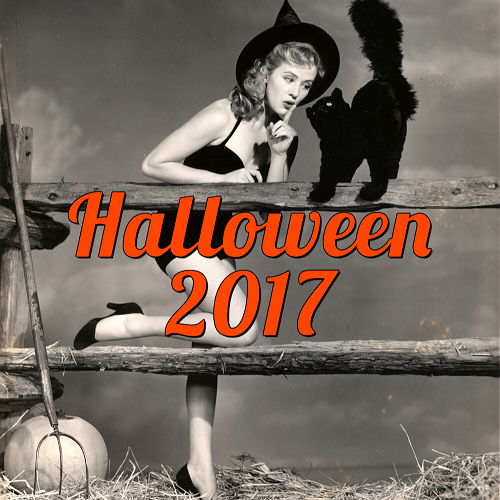 Something to watch to sooth my aching heart, my heart that aches for Halloween happenings...in January! I even Googled "Halloween Conventions" to see what is coming up around the country. Perhaps a trip to another state for a Halloween Con would be in order. October is too far away!